TWO FREE 1-HOUR HEALTH COACHING SESSIONS ($390 value) when you purchase the Lifelong Vitality Pack supplements ($114.50 wholesale)! It’s no secret that our food supply is not as healthy as it was 30 years ago and our bodies are continually assaulted from environmental and food toxins which damage our health. The majority of illnesses are now thought to be caused by inflammation and toxicity and with 70% or more of your immune system in your gut, this means your digestive system is directly related to your current illness and your food and environment are playing a part. Need more proof? See client testimonials below! A high quality multivitamin and multimineral – did you know that 95% of Americans are nutrient deficient? And nutrient deficiency is responsible for over 33 different diseases. Many are also deficient in minerals, which affects 300 different metabolic body functions. A high quality omega supplement – most diseases and health conditions start as inflammation. The best supplement to squelch inflammation are omegas. Omega 3, 6 & 9 are important to bring the body back to balance. A high quality antioxidant supplement – free radicals lead to oxidative stress, which damages DNA and can lead to major health crisis. It’s important to keep antioxidant levels in check to avoid & address health challenges. As a holistic health coach, I have really high standards when it comes to supplements because not all are created equal. Many have undesirable ingredients like gluten, dairy, soy and artificial additives that will do more harm than good which is why I love and use doTERRA’s Lifelong Vitality Pack. So all you need to do to take advantage of my free health coaching is purchase doTERRA’s Lifelong Vitality Pack. 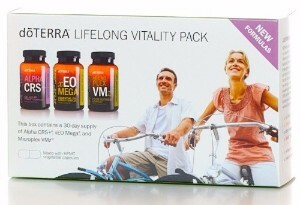 Click here to purchase the Lifelong Vitality Pack (for $114.50). You’ll receive everything above, including your wholesale doTERRA account and my TWO FREE 1-HOUR HEALTH COACHING SESSIONS (a $390 value!!). Hurry, this promo will end on April 30! “Leann was a huge help in providing a game plan for my daughter’s digestive problems. In addition to a specified plan, she came up with recipes and meals for her. She is extremely knowledgeable and so helpful in getting to the root of health issues.” Marquel C.
“This was a life changing experience. I know I will benefit from this knowledge for the rest of my life.” Terry H.
“After seeing what a major impact only a few weeks had on our daughter’s health our entire family was on board. We are so thankful for Leann and the lasting impact she has made on our family’s health.“ Amy J. “Leann was great to work with! She really took the time to listen and understand what I was going through, and provided specific strategies and solutions for my health issues. She is very kind, caring, and supportive. I learned a lot through my sessions with her and would recommend her to anyone who has health issues, or simply wants to clean up and improve their lives and health.” Wendy J. “Leann’s knowledge of clean living and eating and supplement regime has been a success for our family. Thank you Leann for providing us with the knowledge we needed to take care of our health.” Cindy B.